Bright-faced youngsters touting Nir Barkat or Moshe Lion election paraphernalia can be seen in the city center or at community events, eagerly informing the masses about the upcoming Jerusalem municipal elections on October 22. But Siaad abu Riyaddh, an east Jerusalem resident and business owner, doesn’t know when election day is or who is running. “I’ll get something in the mail two or three days before the vote,” he says. “They are always late.” Riyaddh, a father of four with a degree in computer science who was interviewed in the Muslim Quarter, is part of the minority of 1.9 percent of Arab residents who voted in the last election. Arab residents express reactions to voting that range from disdain and apathy to surprise that there are elections altogether. Many of them feel a deep attachment to their Palestinian identity, reject Israeli politicians’ being active in their areas or are jaded by a system that has never worked for them and feel never will. They also lack adequate knowledge about their own right to vote. Many Arabs are considered permanent residents of Jerusalem and live in parts of the city that were conquered in 1967 and annexed in 1980. The Local Authorities Elections Law allows permanent residents to vote in city council elections but not Knesset elections. Around 160,000 east Jerusalemites will be eligible to vote this month. To be able to vote, people had to have registered as living in the city before September 12 with the Interior Ministry. But the Arab vote is so low that candidates admit to not campaigning among them, even though the community makes up a potential voter base of 38% of Jerusalem’s Arab residents. Omri Sheinfeld, a spokesman for the grassroots Yerushalmim party, tells In Jerusalem in an email, “The Arab citizens of Jerusalem, of whom very few vote, are not one of our focus groups.” He adds that the party also doesn’t focus on the haredim, “since they vote as a bloc.” But Sheinfeld says that the platforms of the party – such as improving education and fighting for gender equality – appeal to Jews and Arabs alike, but they simply don’t have the resources necessary to campaign to a group that has appeared apathetic about voting. It is the responsibility of the city to encourage voting and make it accessible to all, Sheinfeld writes, but in the end, “each person and group decides for themselves” whether or not to vote. VOTER TURNOUT among this group has always been low, and this has come to be the accepted norm. In a 2003 interview, Barkat candidly divulged that his advisers told him there was no electoral reason to include the Arab neighborhoods in his platform. 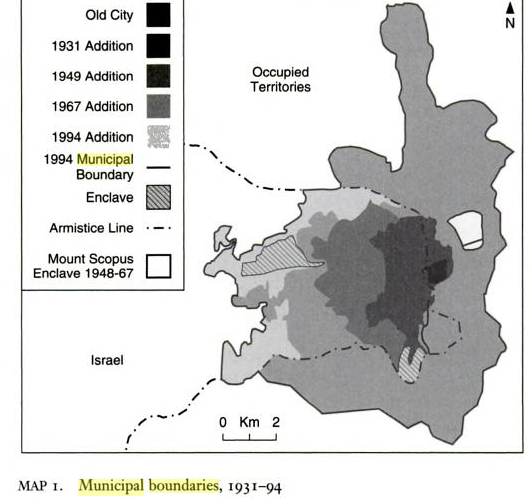 In east Jerusalem alone, the city invested NIS 500m. for the construction of new roads, repaving and restoration and further developing neighborhoods, according to the mayor’s office. The city also installed more than 120 new classrooms in east Jerusalem for the 2013- 14 school year, purchased more than 1,700 computers and laptops and set up 15 learning centers that are open after school hours to help provide support for high school students and run programs to deter them from dropping out of school. BUT MANY east Jerusalem Arabs, some of whom do not receive election materials due to a lack of proper street addresses, are not well-informed about the candidates and even regarding their electoral rights. At a hair salon in Beit Safafa, the owner identifies himself as Palestinian and says he lives in both Jerusalem and Bethlehem. He says he can’t vote because he doesn’t have an Israeli passport but has an ID that allows him to work and travel in Israel. An Israeli client at the salon agrees that without an Israeli passport, the owner can’t vote in the municipal elections. The neighborhood of Beit Safafa is a bit of an anomaly. Part of it has been Israeli since 1948, and many of its residents are Israeli citizens. It has two polling stations and historically has the highest turnout among Arab voters, at around 10%. The village had only 1,400 residents when it was conquered by Israel in 1948, and most of its residents became citizens. Some families were split up and lived across the Green Line in what was then Jordan. After 1967, the village was reunited, but it quickly became surrounded by Jewish neighborhoods such as Gilo that were constructed above it. Today, its 10,000 residents are angered over the building of a multi-lane boulevard connecting Gilo to Malha. 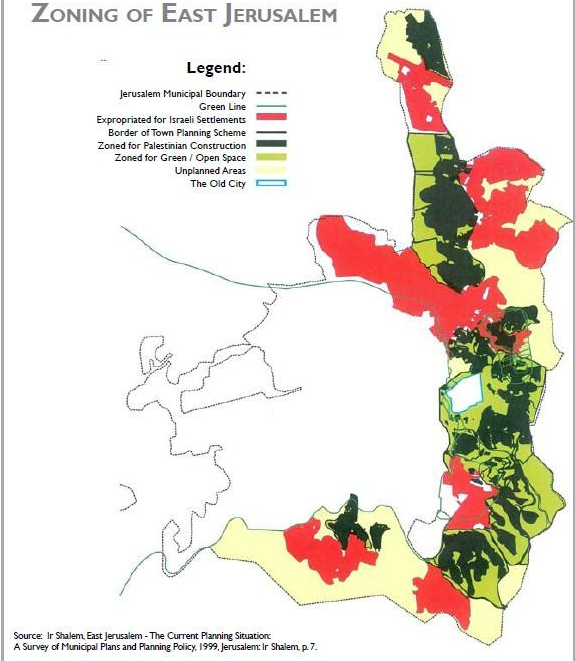 According to Margalit, “As a result of the decision to build a highway through Beit Safafa, the local residents feel even more Palestinian than residents of the united Jerusalem.” The neighborhood still has a village feel, with narrow streets, large cozy houses and small family businesses. Next to the southern entrance is a large campaign poster for Lion, the only evidence of campaign material in the area. At a neighborhood grocery, several men express shock at being asked about the elections. Her organization works to promote conditions for a viable solution between Israelis and Palestinians regarding the final status of Jerusalem. But as it stands now, she says it is the responsibility of the city and of Israel to inform the residents and encourage their participation in elections. Meretz councilman Meir Margalit sees the lack of voting as detrimental to the residents. “I understand the sensitivity of the issue and the reasons for these turnouts, but I would have preferred the Palestinians to be more pragmatic when it comes to the Jerusalem Municipality.” Margalit has put a lot of energy into improving the situation in east Jerusalem, specifically for Arabs, “because they are not represented on the city council.” For instance, “We have decreased substantially the number of [home] demolitions and increased substantially the budget for education,” he says. One issue he has been speaking about in this election cycle is allowing residents to vote in west Jerusalem. The polling services provided to Arab residents of the northern and eastern areas of Jerusalem are the most lacking. 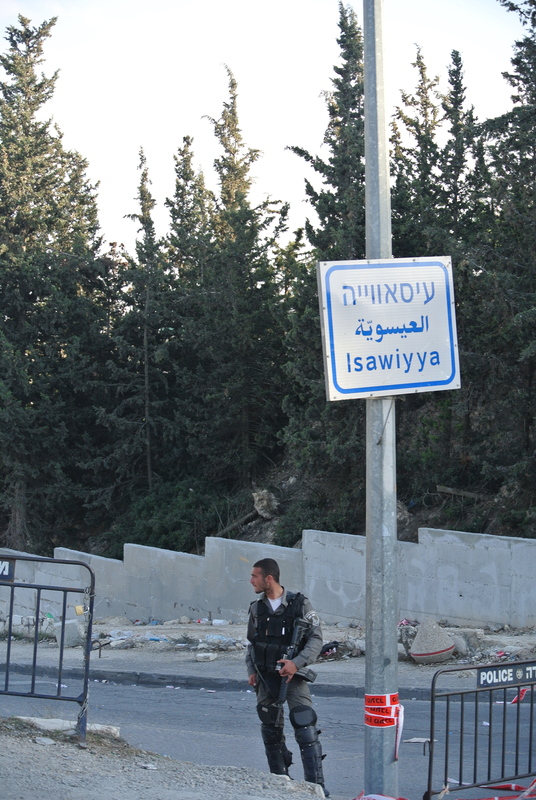 For example, from Shuafat to Beit Hanina, Sheikh Jarrah, Wadi Joz, a-Tur, Isawiya and Silwan, about 100,000 people have one polling station located on Route 1 near the police station. Politically, they feel discriminated against by “a system which, by definition, prefers Jews and discriminates against Palestinians,” and many feel connected to the Palestinian Authority. However, “Even if one ceased to believe in the chance of a viable Palestinian state or felt strong mistrust in the Palestinian political system, it doesn’t mean he will go to vote. Probably the result would be, as in the past, to avoid participation in both Palestinian elections [for the reasons just mentioned], and the Israeli municipality ones [since it would be considered recognition of the annexation with no personal or political gain],” he says. Some in east Jerusalem, like Riyaddh, recall mayor Kollek with nostalgia. “At least he [Kollek] gave us 50%-60% [of services], but Barkat is taking [taxes] without giving even 10%,” Riyaddh says. In 1967, Chaim Herzog, then the military governor of the West Bank, recalled: “Teddy ran around yelling that there were children who had been under fire for a week and did not even have milk. I can’t forget his concern about the Arab children. [Kollek] met with the former mayor of east Jerusalem, Ruhi al-Khatib, and told him, ‘We are both here to serve the holy city… we must cooperate.’” In a book about Teddy Kollek, Bernard Lewis is quoted as saying that Kollek “respected all the minorities in the city.” However, relations were not as rosy as they appeared. PRESSURE AND loyalty to the Palestinian Authority are also seen as influencing the non-vote. Palestinian NGOs that work in east Jerusalem, such as BADIL, the Resource Center for Palestinian Residency and Refugee Rights, have encouraged a boycott of the municipal elections. In 1998 and 2003, a resident of Beit Safafa named Moussa Alayan ran on an independent list for city council. He told an interviewer, “They [the city] take the arnona [property tax], but we don’t get any services… They take our blood and sweat this way… And the garbage that is in front of my house, they don’t take it. Do I have to remain silent?” Both times, Alayan failed to gain enough votes. The Palestinian presence in east Jerusalem is felt through flags and election posters; some of former PA prime minister Salam Fayyad are plastered just inside the New Gate of the Old City, for instance. Some businesses in Abu Tor and near Damascus Gate still proudly display posters of the Jordanian king, a sign of fidelity to the old regime that ruled the West Bank until 1967. This is a bleak report…I’m curious–what, if anything, do you think can/should be done to solve the problem of political disengagement among Arab Jerusalemites?